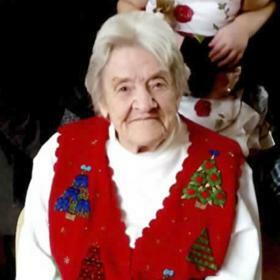 Janet “Jan” M. Kaplan, age 96, passed away on Monday November 26, 2018 at Ridgewood Care Center. Jan was born in Kenosha, January 28, 1922, daughter of the late Ray and Helen H. (Nee: Barber) Crump. 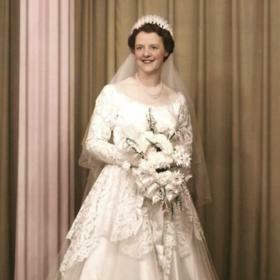 On May 16, 1953 at St. Mark’s Church in Kenosha she was united in marriage to Otto C. Kaplan who preceded her in death February 16, 1990. Jan retired from Walker Manufacturing after many years of employment. 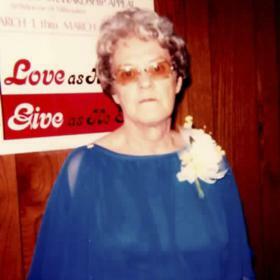 She was a member of St. Rita Catholic Church and a long-standing member of the 5th Street Yacht Club. Survivors include her sons and daughters-in-law, Charles R. (Lois) Kaplan of Racine, Daniel O. 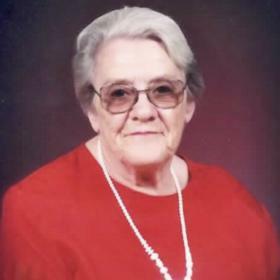 (Jane) Kaplan of Wadsworth, IL; her daughter, Sharon A. 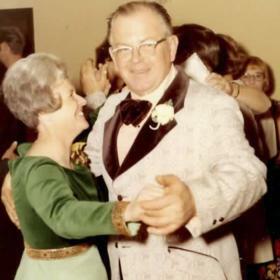 (Peter) Dricken of Hazelhurst, WI; her seven grandchildren, John (Erin) Gorsegner, Tracy (Nate) Bergman, Kerryann Kaplan, Charles Kaplan, Rebecca Kaplan, Jessica Kaplan, Nicholas Kaplan; her five great-grandchildren, Paydin, Michael, Ariah, Ellie and Paxton; loving nieces, nephews, other relatives and dear friends. In addition to her parents she was preceded in death by her infant brother, Harry F. Crump, and brother Raymond (Shirley) Crump; two sisters, Catherine and Evelyn Crump; and nephews, Michael and David Crump. Also survived by three special friends; Evie O'Dell, Amy Laundrie and Brian Novak. A Mass of Christian Burial will be celebrated at St. Rita Catholic Church, 4339 Douglas Avenue, on Friday December 7, 2018, 11:00 a.m., with Rev. Richard O’Leary officiating. Private interment will be held at West Lawn Memorial Park. Relatives and friends may meet with the family at the church from 10:00 a.m. until time of Mass at 11:00 a.m. In lieu of flowers, memorials to Hospice Alliance have been suggested. Special thanks to the healthcare providers from Hospice Alliance, Ridgewood, Aurora Hospital and Judy Duet for the exceptional care they gave to Janet.